Danny O'Shay grew up knowing he never really fit in. His family avoids him. He falls so much that the staff at the local hospital know him by first name. And he can't get a date to save his life. Enter handsome firefighters, Ben and Abe Lake, two men that bring every fantasy Danny ever had to life. Except Ben and Abe seem to have some business deal with Danny's father that involves a ton of money and the assumption that Danny has a clue. He doesn't. 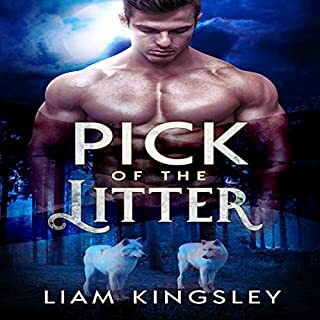 When Ben and Abe start talking about fated mates, shifters, and a family legacy that goes back decades, Danny is pretty sure they belong in an insane asylum. But as he gets to know the handsome twins, he begins to wonder if being crazy is that bad. Being alone again seems worse. After someone starts trying to take Danny out of the picture permanently, he has to trust that Ben and Abe are trustworthy and not in on the plot to kill him, because they might be the only thing to keep his life from going up in flames. ©2015 Stormy Glenn (P)2016 Siren-BookStrand, Inc. I am in love with a this book, can wait for the next installment of this series stormy great you hit it out of the ballpark. This a fun little read. A predictable trope of two large alpha bear shifters mating a spunky smaller human. 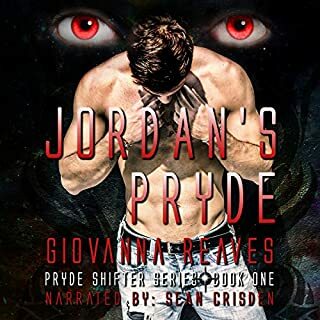 It is a classic Siren m/m/m book, but with a bit more story than normal. Danny is a lovable klutz who has been abused by the family that was suppose to take of him for his mates. The twins, Ben and Abe are twin bear shifters who have known Danny was their mate since childhood. There is a tradition in their clan of twin shifters/human bonds. Thankfully there is no overt twincest in this book, they take turns. But it is still a little weird because to claim him, they have to "take him" at the same time; tricky. There is a little drama because someone is trying to kill Danny. There is actually a little bit of character development so the men are not completely two dimensional. All in all, a good read and I look forward to the next book. The narrator does a good job although I would have preferred a little more diversity in the voices.